We live in an era of instantaneous communication. Modern technology allows us to stay in touch with loved ones half a world away. With the click of a mouse or flick of the phone, lives are conjoined in mere seconds, rather than days or months as in years past. Christians have quickly habituated to being constantly connected to others. Jesus reminds us to be patient and persistent. 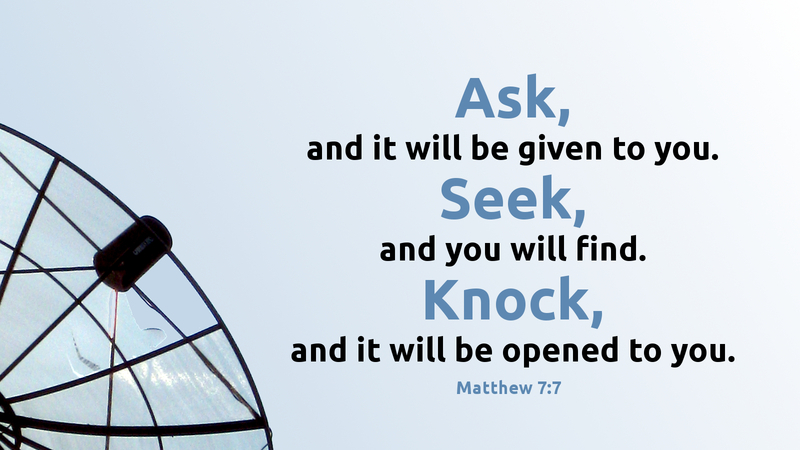 “Ask, and it will be given to you; seek and you will find; knock, and it will be opened to you” (Matt 7:7 ). The door may not open instantaneously, but it will open, in God’s perfect time. So do not grow weary in the waiting. Keep on asking. Keep on seeking. Keep on knocking. Your Father hears, and he will answer. Prayer: Eternal God, give us wisdom to ask for your provision, faith to trust in your goodness, and the patience to persevere in prayer, through Jesus Christ our Lord. Amen.